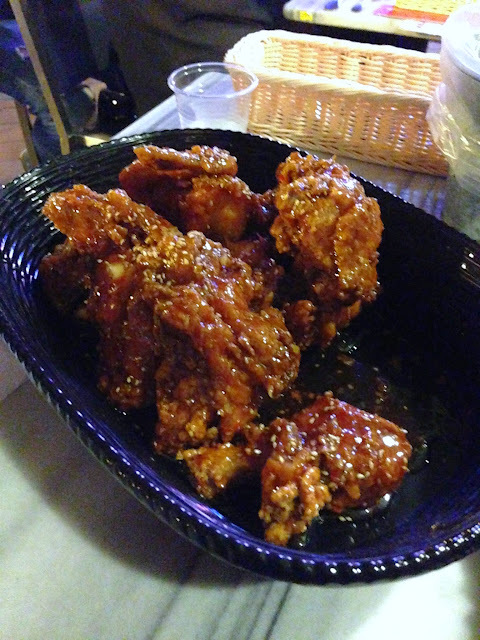 I don’t crave korean fried chicken (KFC) but because I had some good ones in Korea, I was curious to try what we have in SG. To me the great thing about KFC is the sticky sauce that coats the chicken. 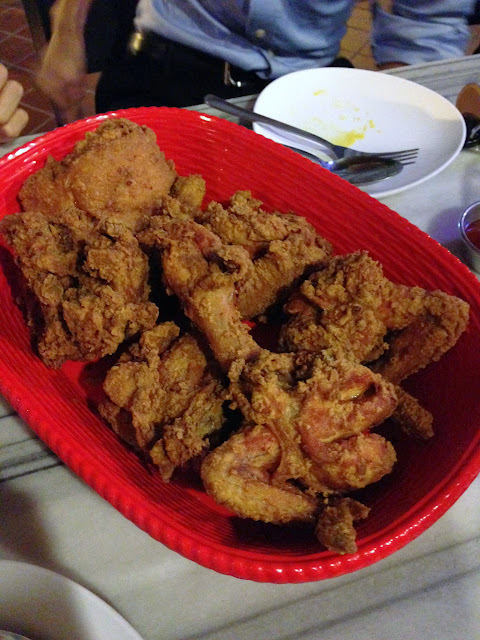 KFC without sauce is really just… fried chicken. 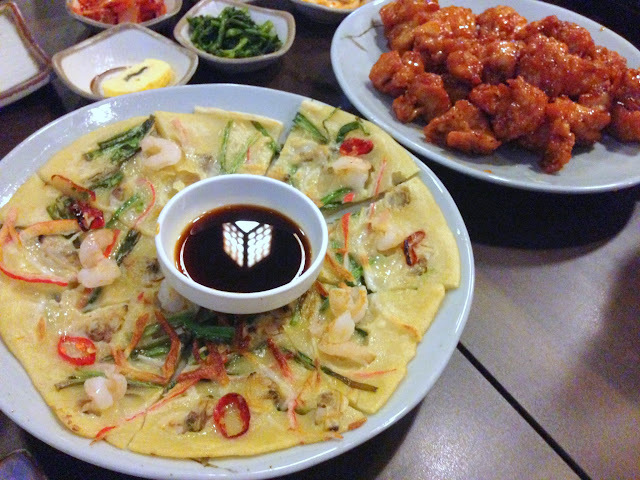 I love Woori Nara’s YumYum Chicken and Chicken Up’s Yangnyum. Both sauces were sweet, spicey and sour (but at varying degrees)- probably a mix of, inter alia, gochujang, soy, SUGAR, and garlic, which are incidentally all my favourite ingredients. I must say, both places deep fry their chicken well. The batters are crunchy, non-greasy and very fragrant. YumYum Chicken is a lot easier to down because they have a boneless option. But I was perfectly happy with picking up Chicken Up’s Yangnyum and getting my fingers dirty. And I do believe that meat off the bone is juicier than de-boned meat. Not sure if there’s any truth in that though. 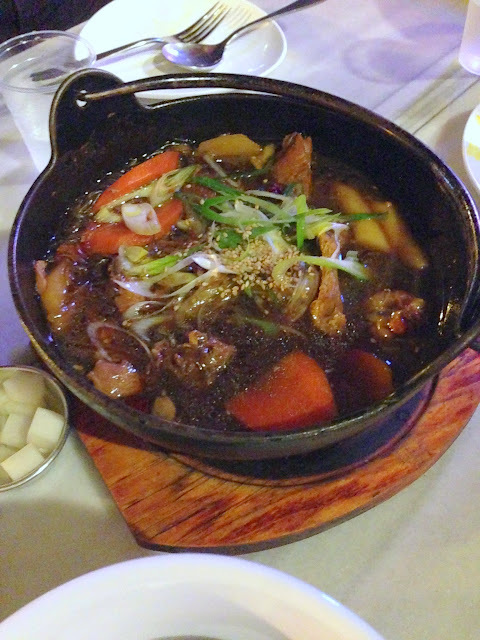 Chicken Up’s Andong Stew was also quite delicious. The hearty, warm flavours were a good respite from all the fried, heaty stuff. 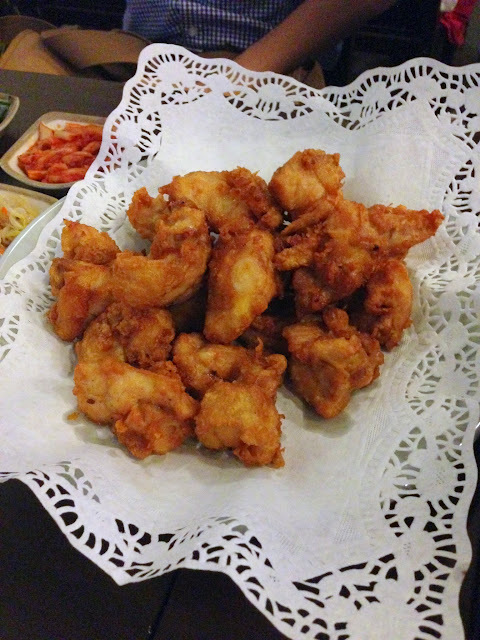 On the whole I prefer Woori Nara, because it’s still very much a mom-and-pop shop that doles out good home-cooked korean fare even if much of its popularity rides on their KFC. 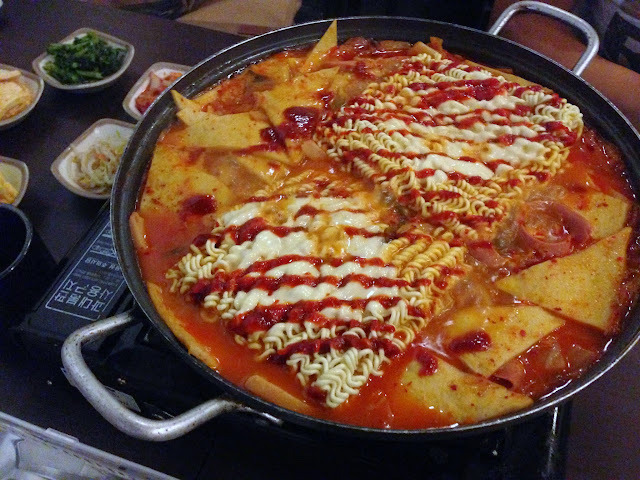 Things like pajeon (flavours were there but it wasn’t crisp), Budae Jjigae (army stew) or bulbogi are on the menu, and honestly not too bad. Oh, and they have a decent range of banchan- not fantastic but pretty okay (there’s rolled egg!). One cannot simply live on KFC alone.